Kingston, ON - Sept. 24, 2015 - True to its name, the Master of Entrepreneurship & Innovation (MEI) program welcomed its inaugural class the week of September 8th by showcasing innovation hubs on campus. Kingston, ON — Sept. 14 2015 - Any academic program that doubles its enrolment in only its second year of operation is obviously meeting a major need. The Queen’s Graduate Diploma in Business (GDB) accomplished just that when it welcomed the Class of 2015 in May. 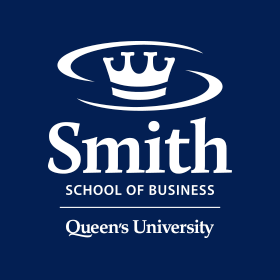 Kingston, ON – Sept. 3, 2015 – Queen’s School of Business today unveiled a plaque recognizing its newly awarded LEED® Gold certification of the west wing of Goodes Hall.